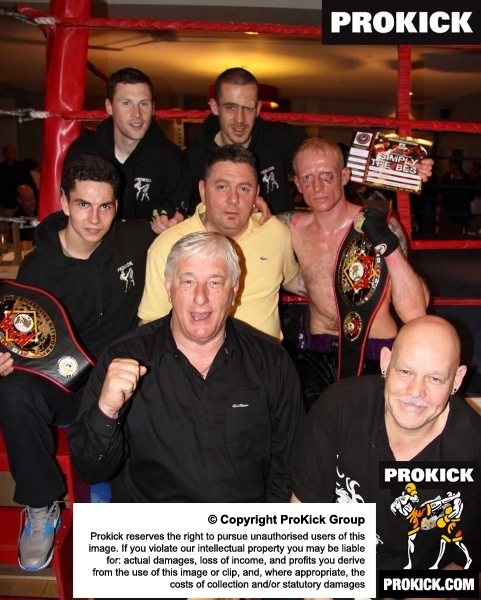 WKN Scotland staged yet another championship event in Aberdeen at the Menzies Hotel in Dyce. Three Big WKN amateur titles were on-the-line all under Full-Contact rules. There was blood, sweat and there was tears of joy as WKN titles belts changed ownership which about summed the night up. The event was dubbed 'Night of Combat VI' and was staged at the revamped Menzies Hotel in Dyce. Karl McBlain of Belfast became a two-time European Champion and Darren McMullan lifted the Intercontinental crown whilst Davy Foster becomes the Nearly-Man yet again. Well done to Mr Albert Ross and all his team for another well run event. If you want to know more or stage a WKN event contact the WKN world office and the group will get back to you.